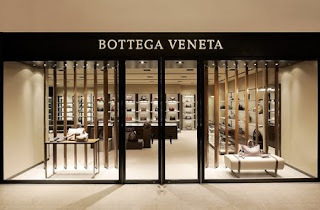 Bottega Veneta will open its first Atlanta area store this summer at Phipps Plaza. Previously announced to have been opening in The Streets of Buckhead, its name was removed from the S.O.B. website months ago leading many to believe they had pulled out. Locating within Phipps Plaza is definitely a wiser move and should serve them well in the future. In Phipps they join sister line Gucci and a host of other designer labels such as Versace, Valentino, Tory Burch and Jimmy Choo. The Phipps Plaza location will be 2,500 S/F and will carry the label's full line of clothing, accessories and gifts for men and women. Until now, the only place one could find their merchandise was in at Neiman Marcus at Lenox Square, where select styles of their handbags are carried. The store will open in the Sak's Fifth Avenue wing in the former Max Mara. Construction is set to begin in March so I'd say they should be open by late June .